The fourth GOP debate is over, and to the delight of many Americans, there won't be another one for five more weeks. This was a somewhat more boring debate than the past forums, but don't worry: The candidates still said a plethora of idiotic things on stage tonight, which will keep us plenty entertained until the next forum. This was ostensibly an economic debate, and yet — as with the last "economic" debate — it veered wildly off course at times, with the candidates spending lots of time bashing illegal immigrants, Vladimir Putin, no-fly zones, and plenty of other issues that are not principally economic in nature. 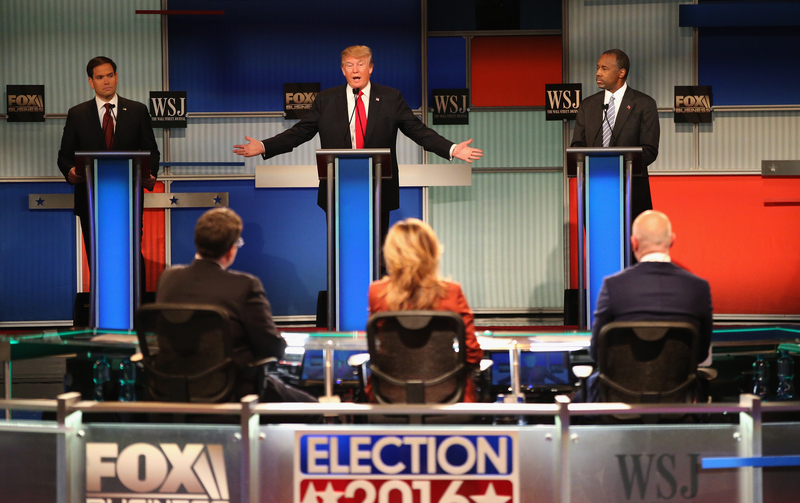 It's worth taking a look at some of the stupidest things said at the fourth Republican debate. Many commentators noted that the first Democratic debate succeeded in painting the party itself in a favorable light, while the Republican debates more resembled an elementary school food fight. That trend continued tonight, with still-overcrowded Republican field thrashing around and slinging mud, pausing occasionally to attack Hillary Clinton, President Obama and each other. Occasionally, they hit the mark; often, they did not, and on a few occasions, they stumbled badly. Let's take a look at some of the times they stumbled. The context made it clear that he intended to say "parent," but still, that's a pretty awful Freudian slip. If we're likening international politics to board games, the proper comparison is clearly Risk, not Monopoly. That's all well and good — but the question was about the minimum wage, an issue that explicitly concerns those who haven't made it into the upper stratum. Trump was basically saying that everybody should be in the top 1 percent, a clear mathematically impossibility. Finally, Rubio is taking a stand on this hotly-debated issue. Considering he defended Trump's deplorable remarks about Mexican immigrants, Cruz probably shouldn't be bringing up offensive immigration-related comments. Well... yeah. That would be ideal. As Rand Paul pointed out, China isn't a participant in the TPP, making Trump's entire argument, well, nonsensical. It's been said before, and it will be said again: Fiorina's business record is terrible, and there's no reason to remind people of that. Is Carson really saying that he's okay with the media lying about everyone? That makes it a bit hard to take him seriously when he criticizes the press.